Marbella real estate agency Andalucia Realty announced a new report on the best golf courses in Marbella, as well as an updated range of golf properties in Costa del Sol. Andalucia Realty, a real estate agency based in Marbella, Spain, launched a new report on the best golf courses in Marbella. Readers can find an overview of the most attractive Costa del Sol golf courses, as well as a selection of golf properties situated in the vicinity of this internationally renowned area. The report can be found at https://andaluciarealty.com/en/the-best-golf-courses-in-marbella. Costa del Sol is known for its pristine beaches and attractive golf courses, making it one of the most popular holiday destinations in Spain. Andalucia Realty offers a wide range of properties in Marbella, Benahavis and the surrounding areas, as well as extensive resources for anyone interested in more information on the various attractions of the area. The real estate agency has launched a new report on the best golf courses in Marbella. The online resource provides essential details on some of the most attractive courses in the area, including Real Club de Golf Las Brisas, Los Naranjos Golf Club, La Quinta Golf and Country Club and many others. Readers will find useful information on the size, design and difficulty level of each course, the report aiming to help them find the best golf course for their preferences and skill level. For those interested in purchasing golf properties in Marbella and the surrounding areas, Andalucia Realty offers an extensive selection of golf apartments, villas and other realty. With extensive connections in the real estate market, the agency provides its clients with exclusive offers on the most attractive apartments in the Costa del Sol area. 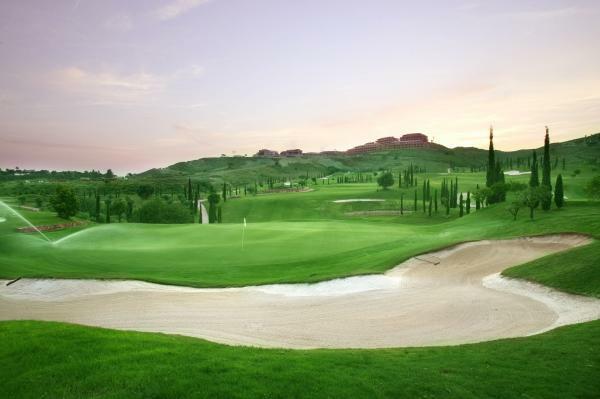 The agency’s golf properties can be found at https://andaluciarealty.com/en/golf-properties. Interested parties can find more information by visiting the above-mentioned website, as well as at https://andaluciarealty.com/en.